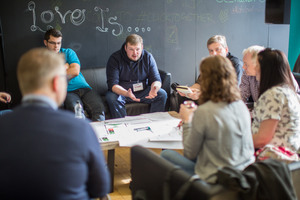 Sheffield Digital is collaborating with Barnsley Digital Media Centre to advance its campaign to spread digital learning and support business innovation across the Sheffield City Region. 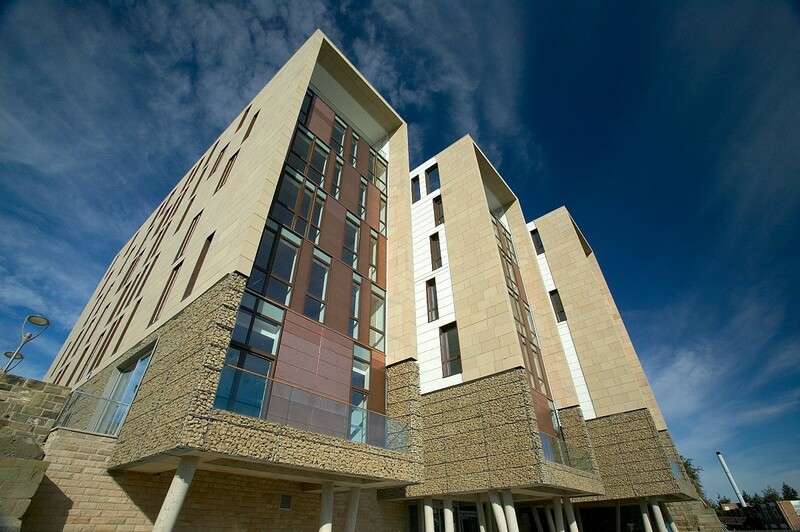 The Digital Media Centre (DMC) is an award-winning hub for digital, creative and innovative businesses in the heart of Barnsley. 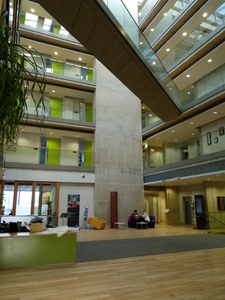 The DMC itself is a striking landmark building, opened in 2007, with impressive architectural features such as an internal skybridge across an imposing five storey high atrium and a roof-top terrace. It offers a range of creative office spaces, from 80 to 1,100 square feet, and is home to around 40 new, established and growing CDI sector and associated businesses. The DMC is also a business events and meetings venue and organises its own calendar of collaborative events, such as the Connected Healthcare digital incubator programme; the recent Tech Town EU economic development summit, looking at the regeneration of communities across Europe through digital industries; and an Etsy ‘Made Local’ Market, run with the Crafty Barnsley Business network. On top of that, the DMC is so much more than just a business centre in a cool building. Managed by Enterprising Barnsley, which is part of Barnsley Council, The Digital Media Centre is part of a portfolio of business support for the borough. Its core mission is to help Barnsley businesses start-up, develop and expand; generating economic growth and creating jobs. The DMC’s Enterprising Barnsley team provides fully-funded support to CDI enterprises and entrepreneurs based both within the centre and out in the wider economy. It delivers a range of one-to-one coaching, business clinics and workshops. In March 2017, the Digital Media Centre’s business support programme won a national award for ‘Business Transformation’ at the Local Government Chronicle Awards. This recognised the DMC’s work in creating a vibrant hub for creative and digital businesses, where they can develop and grow, generating more and better jobs and in Barnsley. The DMC has worked closely with partners including Tech North, Enterprise Nation, Google, and Sheffield City Region Growth Hub. 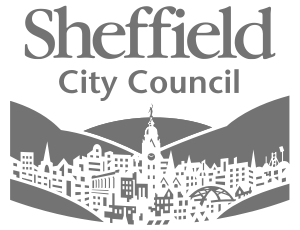 In 2017, the DMC began collaborating with Sheffield Digital to organise a series of events to encourage local businesses to innovate, network and share ideas. These events covered the latest developments in virtual reality, the internet of things and robotics and featured speakers who are international leaders in these fields, and based in the Sheffield region. Tracey Johnson, DMC project manager, says the collaboration with Sheffield Digital was a natural, two-way partnership as Sheffield Digital is dedicated to promoting digital industries across the Sheffield region and the DMC is focused on supporting, nurturing and growing Barnsley’s digital and creative community. The Digital Media Centre is on County Way, Barnsley, S70 2JW. It is adjacent to Barnsley’s public transport interchange and so easily accessible from Sheffield, Leeds and Huddersfield. For further information visit www.barnsleydmc.co.uk, or contact Tracey Johnson, 01226 720700 or traceyjohnson@barnsley.gov.uk.